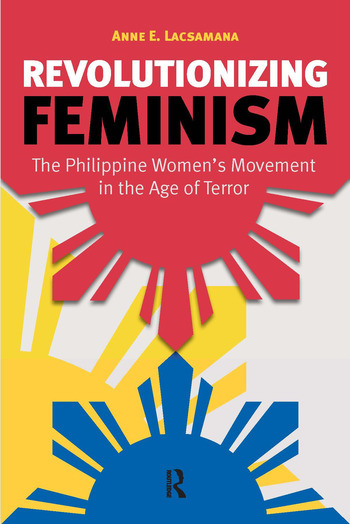 Revolutionizing Feminism offers the first feminist analysis of the human rights crisis in the Philippines during the Arroyo presidency (2001-2010) and the declaration of the country as the 'second front' in the US-led 'war on terror'. During this period over 1,000 activists, including peasants, journalists and lawyers, were murdered. Lacsamana situates Filipino women within the international division of labour, showing the connection between the 'super-exploitation' of their labour power at home and their migration abroad as domestic workers, nurses, nannies, entertainers, and 'mail-order brides'. In contrast to the cultural turn in feminist theorising that has retreated from the concepts of class and class exploitation, Revolutionizing Feminism seeks to reorient feminist scholarship in order to better understand the material realties of those living in an increasingly unstable and impoverished global south.